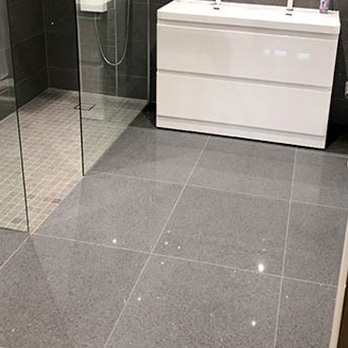 Mosaics are perfect for providing a decorative style and with this grey quartz variety there is the additional element of sparkly mirror pieces. 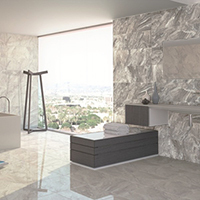 These mirror flecks reflect light to produce an amazing look on walls and floors. 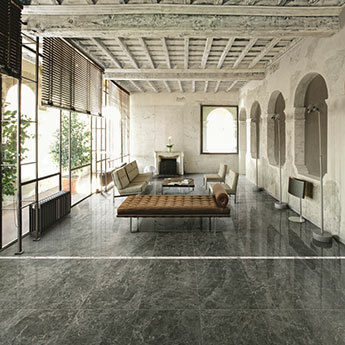 This neutral grey shade can be incorporated to superb effect within modern decors adding class and style in abundance. 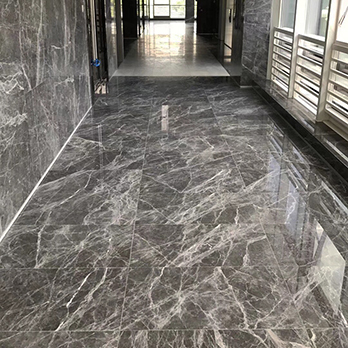 The highly polished finish helps to accentuate the colour as well as the sparkle. 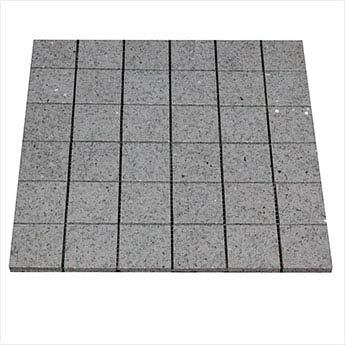 These 300x300mm tile sheets comprise of 36 48x48mm square mosaics. They can be cut and adjusted to create a trendy wall border. 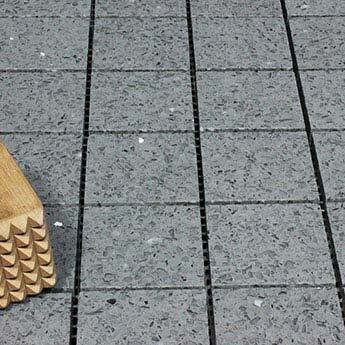 The flexible mesh backing ensures they can be applied to curved walls and sloping floors. 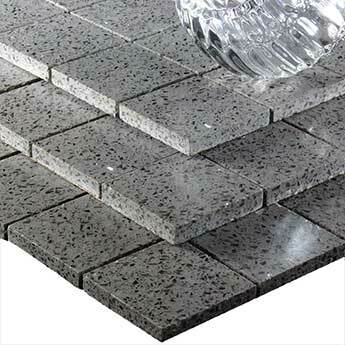 Grey quartz has a standout appeal and in this mosaic format its intricacy provides a new dimension to interior decors. 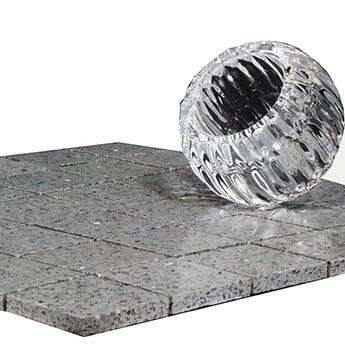 These hardwearing mosaics have been manufactured with 97% quartz and high mirror content. 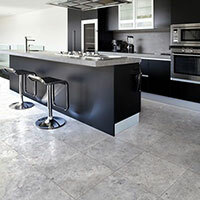 Exposing quartz tiles to high thermal conditions including underfloor heating and applying to areas which are subject to prolonged exposure to natural sunlight like conservatories, sunrooms, near patio doors and outdoor areas is at your own risk. Latex based adhesives should also be avoided.